We are at a stage of urban development where smart is the smart thing to do. The statistics indicate that global smart city spending will reach $34.4 billion in 2020, indicating the rapid growth in urbanization. Obviously, some definitional boundaries are required to guide cities in the Mission. 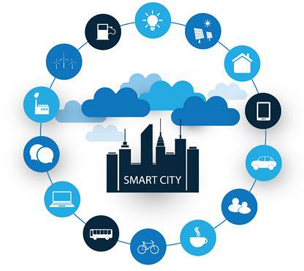 Why EGS for Smart City? EGS’ focus is to improve the standard of living of the people by connecting emerging technologies. Making a city “smart” means turning your city into an ICT enabler for innovation, economic growth and well-being. 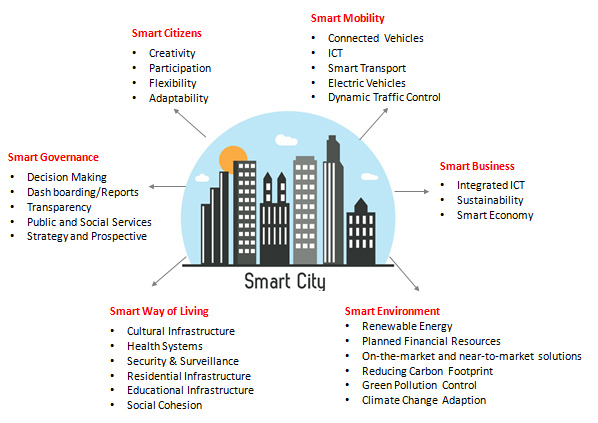 A smart city is the place where citizens enjoy sustainable quality of life through technology, economy and productivity, mobility, environment, education, health and security. EGS creates a platform providing access to real-time context information describing what is going on in the city. It integrates components to enable process, analyze and publish historical and current information to achieve better management of municipal services and bring support to an Economy of Data. Project Management & Consulting Services: EGS Project Management teams help our clients through end to end process of smart city consulting and project management services. This includes Project identification, road map, prioritization, investigations, design, procurement, supervision, cost control, scheduling, risk management, monitoring, auditing, reporting and ensuring compliance and due diligences required for the project. Project Development & Implementation: EGS’ Center of Excellence team will position themselves in such a way that, they will divide the project into 3 phases. We will ensure to involve at every phase of project implementation and make sure to deliver the project within the established time lines. Development and Implementation services includes Technology Implementation, core Implementation Phase, Deployment and commissioning of necessary hardware, Engaging for AUDIT, UAT & Go-Live Report, Operations & Maintenance, Work Review, Successful Completion of the project. Post Implementation Support and Maintenance: EGS also extends their services to maintenance and support on post implementation of projects. We deploy our team at project locations and make sure smooth functioning of existing smart systems in the respected smart cities. EGS can provide engineering and design services in Smart City solutions to operate and monitor smart kiosks and energy efficient buildings to smart transportation planning, we work with city leaders and industry trailblazers, to plan, design, and implement scalable, integrated technical solutions. This includes: ICT enablement, Biometric Systems, Web Development and Mobile Apps, Smart Governance, Monitoring and Seamless Integration, Data Analytics, Integrated Command and Control Centre, Secure VPN Connectivity and Web Filtering, Digital Wallets, ATMs, Cash Cards, etc. 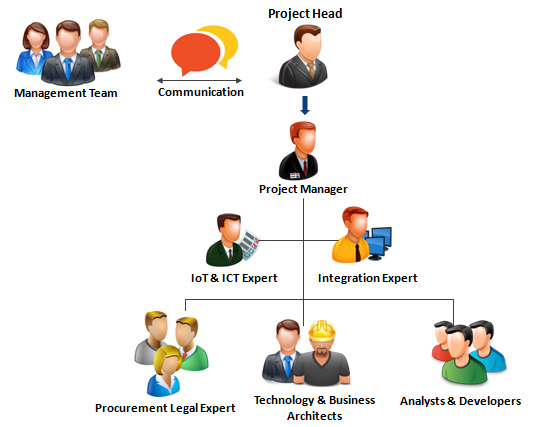 EGS Center of Excellence team has vast experience and unique expertise on delivering smart city integration projects. The core team carries 100+ years of combined experience in Smart and Integration projects with Public, Private and Urban Local Bodies. Our team architecture deploys a transparent and simplified smart solutions to clients.